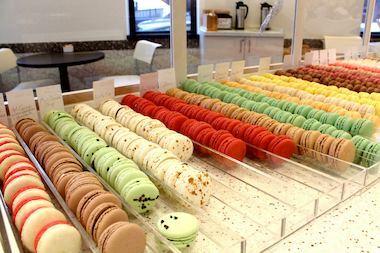 LINCOLN PARK — The city's first shop completely focused on macarons opened Friday in Lincoln Park. Sugar Fixe Macaron quietly opened Friday afternoon at Sheffield and Armitage avenues, just in time for the holiday season. Macarons are the most popular item at owner Cindy Summers' Sugar Fixe original location in Oak Park, so it only made sense to go all in on the French sweets. 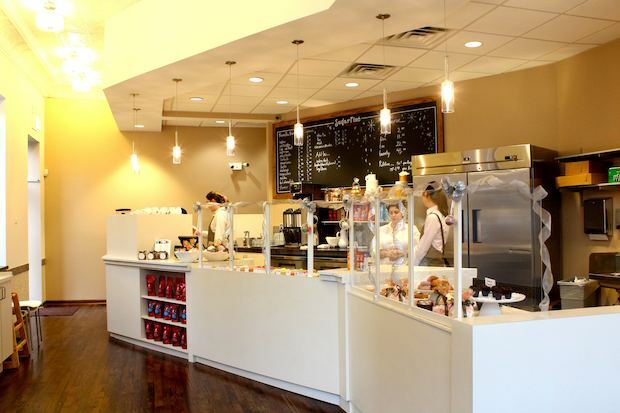 "The macarons are the star here," Summers said on the first day of business. Sugar Fixe will feature 18 flavors of macarons each day. Fourteen will be staples, while the remaining four will be seasonal specialties. For December the seasonal flavors include hot chocolate, white chocolate peppermint, snickerdoodle and lavender. Single macarons are $2.25; five are $11.25; 10 are $22.50; and 20 cost $45. Summers said there are specialty shops focused on macarons in New York and Los Angeles, but the craze has yet to hit Chicago. The business is at the former location of Argo Tea at 958 W. Armitage Ave.
Sugar Fixe Macaron also will feature a few small pastries each day and a full offering of Julius Meinl coffee. The macarons at Sugar Fixe's original Oak Park location were voted best in Chicago by Serious Eats in 2012. The store will have limited hours from 10 a.m. to 6 p.m. during its soft opening. There will be a grand opening in January. Can The National Guard Really Stop Chicago's Violence?